I’ve listed some cool science gadgets for students that can make the most of their schooling/collegiate experience. Technology has improved a lot since we were kids. We can see that it has made some big jumps in the last 50 years. The introduction of integrated circuits has made it easy for engineers to design the electronic gadgets that are not only small in size, but they also require a lesser amount of energy to be functional. Technology offers a ton of resources for entertainment and to learn new things. It is being used everywhere, specifically in the educational field. Science gadgets for students are great gifts as they could learn their lessons in a fun and interesting way. 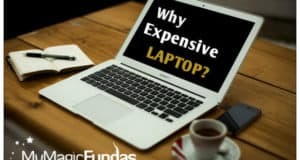 There are programs by Google as well as Apple where they were providing tablets and other devices to improve the way students are being taught in school. Hardware like Raspberry Pi 2 become helpful in providing a better way to teach kids in school by providing them ways to interact with the subject and learning things practically. Let’s discuss some amazing gadgets that would assist the students who undertake science as the main subject and enhance their ability. Whether you’re in college or high school, the following gadgets never fail to fascinate the science geeks! The graphing calculator is one of the useful science gadgets for students who learn advanced courses in Physics and Chemistry. This science tool has a straightforward user interface that would let them solve equations, make graphs and compare functions. As it boasts a simple programming language to create conversion programs, the students can use it without any hassle. The possibility of connecting this tech device to the PC is a notable feature with which you can transfer the files between the machines. This new science gadget for student is powered by four AAA alkaline batteries and one Lithium battery. You may grab this fast processing gadget with a one-year warranty. It is an essential device for the science course students to study or research about tiny germs & insects and see the elements of different types of matter. As the technology has evolved a lot, the magnifying glasses come with high portability, trendy, powerful and high-clarity lenses. Its lenses are interchangeable as well. Besides, it boasts the super bright LED lights with a high-quality material switch. Thus, you can use it effectively and safely even in low-light places to perform science experiments. If you’re not satisfied with this science tech product, you can get the full amount refund as it comes with the risk-free money back guarantee. If you are the one who fascinated by space and engaged in researched-based science education, you may desire to get a good telescope with easy to assemble features. Meade refractor telescope is an ideal tech gadget to view both astronomical and terrestrial objects. You may discover the cosmos and outdoors with this refracting telescope. It comes with astronomical software and instructional DVD. You would adore the magnifying power of this science gadget as it is perfect to view both land and celestial objects. But this item can only be shipped within the US and not eligible for international shipping. Science students can get excitement in their learning process with the holographic technology since it makes their academic activities motivating and fun. Yeah, it allows the students to conduct unusual science experiments and 3D design projects. If you want to make a small, natural life like appearance, 360-degree hologram, Mirage 3D Instant Hologram Maker comes handy for you. It can create the optical illusion of the small objects placed inside through its patented technology of two concealed, opposing parabolic mirrors. The created illusions appear as a real solid object for the viewers, but they would surprise as they can’t touch it. I feel that it is a new science gadget to make simple holograms for science fair projects. Students performing research and working in laboratories need to check temperatures on surfaces of materials. Using a traditional thermometer to get and record these temperatures not only takes time, but it also provides information that might have some errors in it. This digital infrared temperature gun works using infrared and provides an accurate data on temperatures. It can be used not only by students but mechanics and other professionals who need to keep an eye on temperatures on a regular basis. It is one of the exciting gadgets that a student can have. A portable microscope sounds something straight out of the future, but it can prove to be a useful device. The MicroBrite Plus is a 60x-120x powered Pocket Microscope that is lighted by an LED instead of a mirror. You need to have an AA battery to power this device and it comes with Aspheric Internal Lens System for a greater detailed view. The 60x-120x magnification means that you would be able to see the subject in detail under the microscope. All in all, it is a fascinating science gadget for students! It is an interesting gadget for students who use the bicycle to attend the evening tuition. The Bicycle Dynamo Generator lets you power a headlight and a tail lamp on your bicycle without the need of any battery. Just attach this dynamo generator in such way that the generator wheel rotates clockwise as you pedal your bicycle, and it will generate about 12 Volts and 6 Watts of DC current that will be enough to power a tail lamp or a headlight as I mentioned before. I felt that it is a helpful tech gadget for students who do cycling to tutoring centers after returned from school/college. Thus, I’ve added this tech gadget in the list. 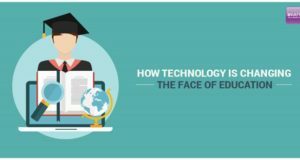 Nowadays, students are learning better with the cool tech gadgets. They undertake several academic activities like experimenting, paper presentation, researching and so on. They can save time, make life easier and gear up for success with the latest tech tools. The above mentioned are some of the valuable science gadgets for students that would let them create a passion for exploration. 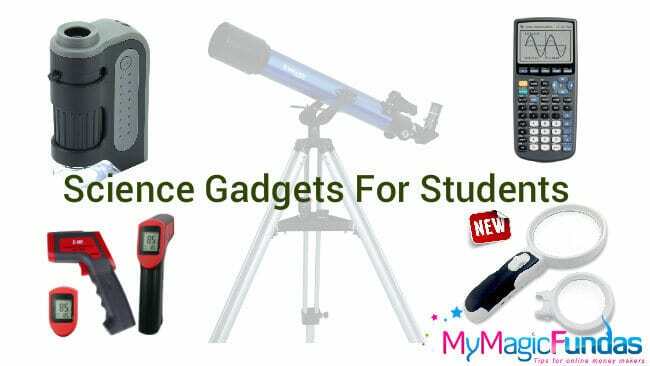 These science toys can be used for nonacademic purposes as well but as a student you would find more use for things like the microscope, the telescope, and the scientific calculator to carry out your educational actions in an efficient manner. What is you viewpoint on these cool science gadgets? Would you like to experience science through gadgets? Did I miss to mention any other interesting educational gadgets for students who do graduation/high-school related to science? If yes, tell me in the comments. Nowadays most of the schools in Tamilnadu conducting Science Exhibition. Students are very much interested in displaying their talent. Here you gave some of the important tools and products for them. Thanks for share. In my school, we are going to conduct Science Exhibition tomorrow. Good to know that you’re conducting the science exhibition for students in your school, great job. Thanks for being regular, glad you liked the post. Keep coming to share your thoughts. Thanks for sharing a good collection of science tools and gadgets. hope our schools utilize the next gen gadgets like Hololens. Welcome to my blog Shrinivas, thanks for getting time to check these science gadgets. Yes, I too hope that the schools and colleges would be using the advanced tech tools for the students who have chosen Science as main subject. Stay tuned! Nice list. You should include Raspberry Pi in the list. I bought Pi last year and still doing many experiments on it. Just a marvel of science. Thanks for your suggestion, good that you are using Pi since last year. I’ve mentioned the same gadget in the introduction of the post. Keep coming! How are you today? Your list is very cool. They are all of my favorite tech toys. But among them,I just love telescope. Telescope is one of the tool who can be used to space technology research, research about moon. Tool its all about space. Again thanks for this. Thanks for sharing your views Taposh! Yes, the telescope is indeed a helpful gadget for the research students. Glad you like the list, have a good day! Awesome post and I guess I really love science related gadgets and I have magnifying glass which I purchased a long ago. I’ll surely consider buying others. These are indeed great lists and of course most science students will be grateful for it. Warm welcome Kabie, thanks for leaving your comment. Stay tuned! I am basically a science graduate with Botany, Zoology and Chemistry as major subjects, when I was studying there are not many options to do research, I think this generation students are more fortunate than me, telescope, magnifying glass and hologram gadgets are very useful, thanks, for sharing such a valuable information about science gadget where I can refer this article to my relatives. After a long time on your blog. Happy to see the article about Science gadgets. I really liked the list of all gadgets. As I’m also a student they are helpful to me. You remembered my school time, In school days, I like to go science lab most and to do practicals. It was my favorite expect attending math classes. You shared great stuff for students. I noticed you are helping students also with your blog posts last time you wrote one post at best ways for students to make money online. I hope they will love your stuff and you also.